77536 FDC FRANCE (1998) "Vision After the Sermon" by Gauguin. Addressed FDC with special cancel. Scott No 2642, Yvert No 3207. 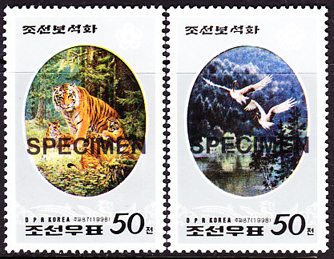 68277 SPE NORTH KOREA (1998) Korean jewel paintings (Korean tiger, white crane). Set of 2 specimens. Scott Nos 3695-6, KSC Nos 3834-5. 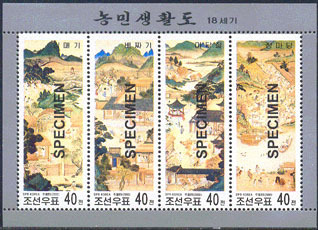 68286 SPE NORTH KOREA (1998) Korean paintings. Set of 2 specimens. Scott Nos 3717-8, KSC Nos 3859-60. 77532 FDC FRANCE (1999) Van Dyck. Unaddressed FDC with special cancel. Scott No 2703, Yvert No 3289. 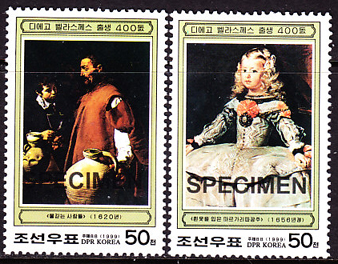 68327 SPE NORTH KOREA (1999) Paintings of Velasquez. Set of 2 specimens. Scott Nos 3869-70, KSC Nos 3970-1. 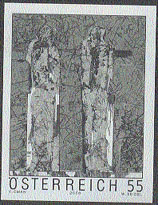 49209 SPE NORTH KOREA (1999) Paintings of Diego Vasquez*. Set of 2 + S/S overprinted SPECIMEN. KSC Nos 3970-2. Scott Nos 3869-71. 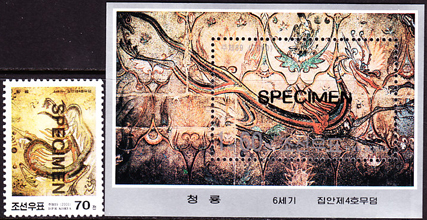 68350 SPE NORTH KOREA (2000) Koguryo tomb murals. 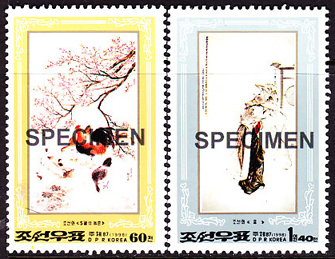 Set of 2 (stamp + S/S) specimens. Scott Nos 3947-8, KSC Nos 4014-5. 68351 SPE NORTH KOREA (2000) "A Map of Rural Life". M/S of 4 specimens. Scott No 3949, KSC No 4016. 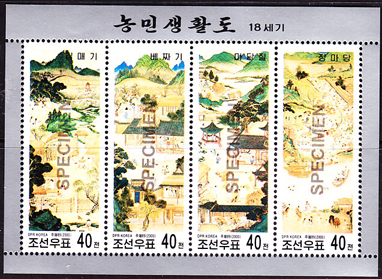 49220 SPE NORTH KOREA (2000) "A Map of Rural Life"*. 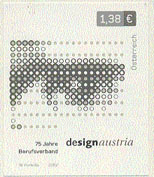 Set of 4 in minisheet overprinted SPECIMEN. KSC No 4016. Scott No 3949. 77525 OBL SPAIN (2001) Picasso. 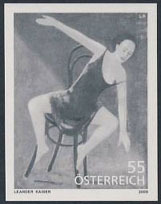 Illustrated cancel on postcard for Picasso Foundation in Malaga. 47207 EP AUSTRIA (2002) Museum of Contemporary Art*. Black proof. Scott No 1898. 47214 EP AUSTRIA (2002) "Schutzenhaus" by Wagner*. Black proof. Scott No 1905. 47218 EP AUSTRIA (2002) "One Eye" by Homola*. Black proof. Scott No 1909. 52611 SPE TAIWAN (2002) Chinese paintings*. Set of 4. Scott Nos 3463-6. 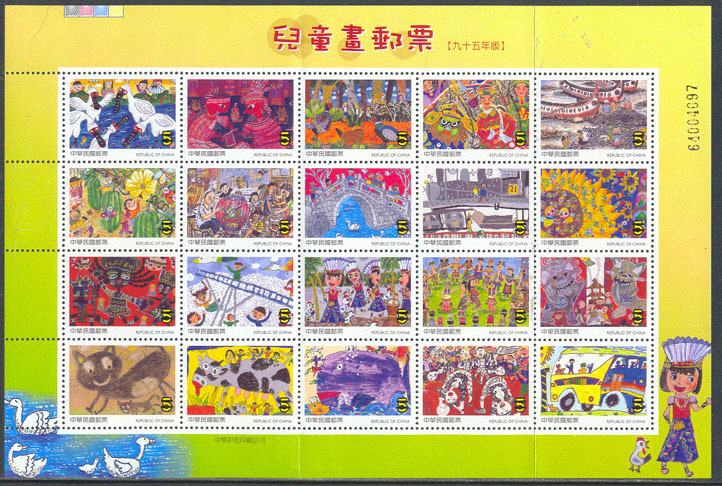 52627 SPE TAIWAN (2003) Chinese paintings*. Set of 4. Scott Nos 3519-22. 48754 EP AUSTRIA (2006) "Youngboy" by Schlesinger*. Black print. 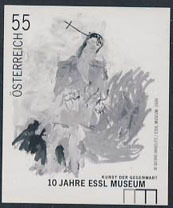 48761 EP AUSTRIA (2006) Painting by Valentin Oman*. Black print. Austrian modern art. 52691 SPE TAIWAN (2006) Children's art*. Minisheet of 20. Scott No 3661. 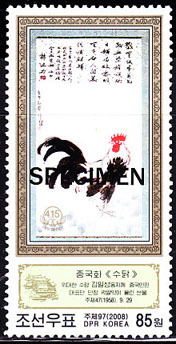 72009 SPE NORTH KOREA (2008) Painting of rooster. International Friendship Exhibit. Specimen. Scott No 4739. 59445 EP AUSTRIA (2009) Woman sitting on chair*. Black print. Art of Leander Kaiser. 59452 EP AUSTRIA (2009) Painting at Essl museum*. Black print.